The location is on the Homepage, All Job and Job List pages. Your announcement will be shown in Urgent Box at CAMHR Homepage. It’s will be on first page of all Job Lists with Highlight animation logo. 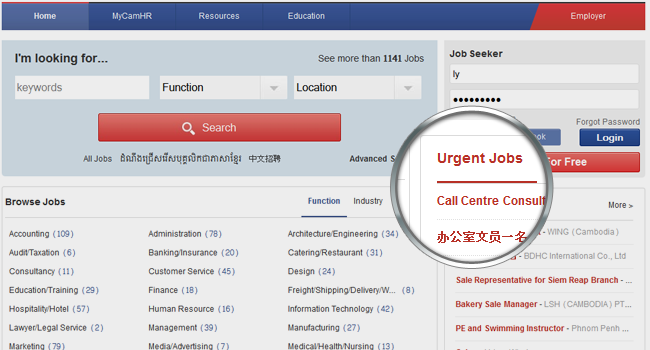 The word “URGENT” in red will be at the right side of the job title. Announcements will be in the Homepage and at the top of All Job Page.